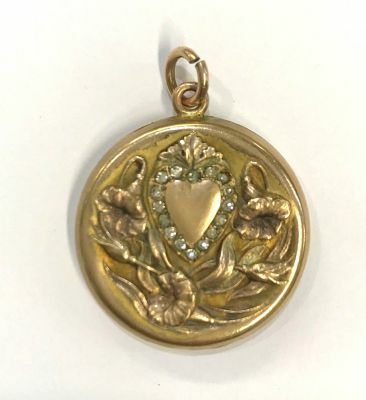 Art Nouveau gold filled double picture locket. The front has a heart shape shield, edged with paste stones, surrounded by flowering vines. 1 1/2” including the bail.